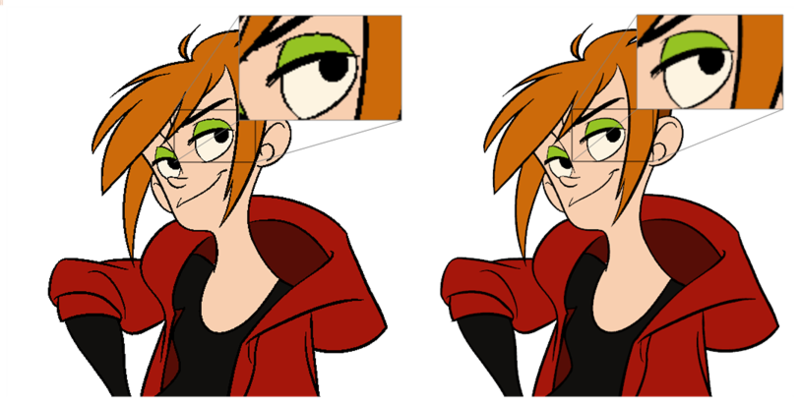 Everything you draw in Harmony is vector-based, unless you purposely elected to draw as bitmap. Although, when you draw in the Drawing or Camera view, notice that your lines may appear jagged. This is caused by the fast real-time display called OpenGL. If you prefer to see smooth lines as you draw, you can enable the antialiasing preference.